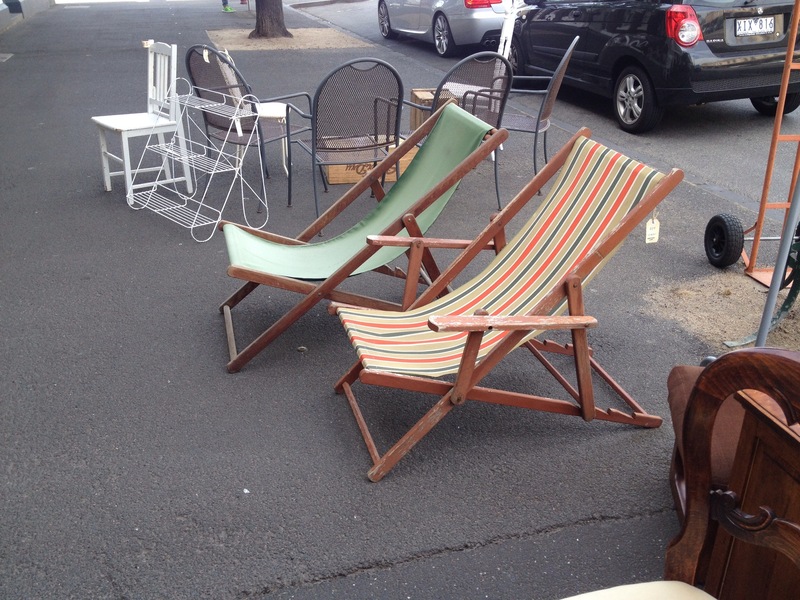 grays303	Chairs, Outdoor Furniture, Uncategorizeddeckchair, ocean liner, outdoor furniture. 34 degrees in Emerald Hill today. Many crucial decisions requiring one’s attention. Deck chair without arms, 1950 $95. Or with arms and slightly earlier $69. Ok, that’s done, now what shall we add to those lonely ice cubes on our glass?